The Czech Republic is a wonderland of natural attractions, great Czech beer and unique experiences. The country has more than 10.5 million people, and the further out of the big cities that you venture, the more you’d be inclined to stay. 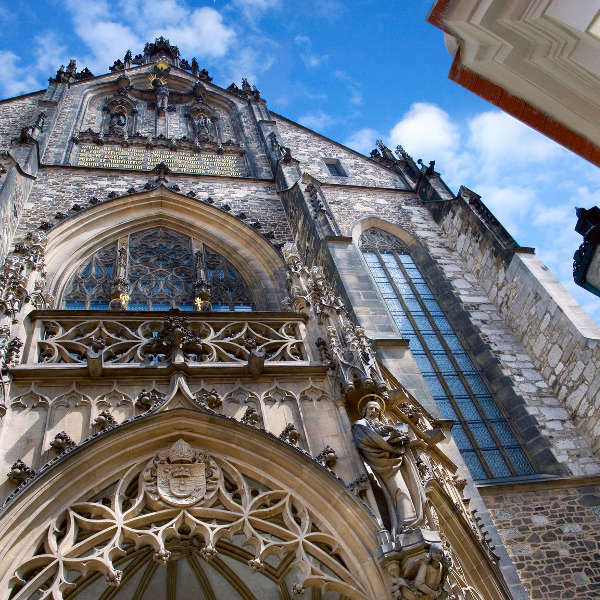 Top attractions include Charles Bridge in Prague, Terezin Memorial and Cathedral of St. Barbara . Hills and mountain tops are bountiful and you could easily fill all your days in the country with hiking, venturing through valleys towards hidden castles and delving into mysterious caves. As a landlocked country in Central Europe, this destination is filled with history from the Bohemian Kingdom to World War ll. A trip to Terezin Memorial is must! The Czech Republic is home to more than 12 World UNESCO Sites, ranging from man-made to natural beauty. The city of Prague offers visitors a step back in time as its buildings are some of the most beautiful. The Czech Republic has a continental climate, with a sweet, short summer season, an icy winter and two lovely moderate seasons in between, offering warm and pleasant days. Summer (June to August) is wonderful for exploring and sightseeing, but as it is peak season in the country, you will find exaggerated prices for flights and accommodation. Winter, on the other hand, is off-peak season in the Czech Republic and though temperatures can drop to -4 in the evenings, the locals know that this weather means great evenings in the local pubs, hot chocolate and a wonderful Christmas market over the month of December. The best time to visit the Czech Republic is over spring (March to May) and autumn (September and late-October). Both of these seasons bring bursts of colour to the landscapes and make for perfect sightseeing days. Many who venture to the Czech Republic tend to stay in Prague, the capital city. 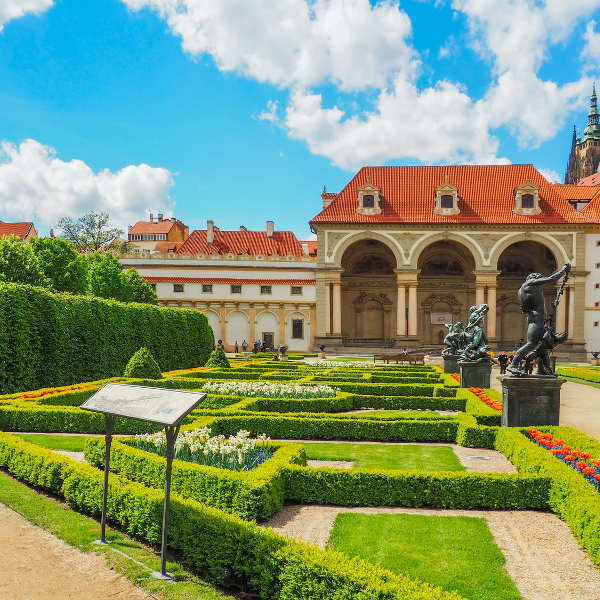 Though understandable, as Prague has been a top destination for years with its old architecture, amazing historical sights and picture-perfect landscape, the country has lots more to offer. 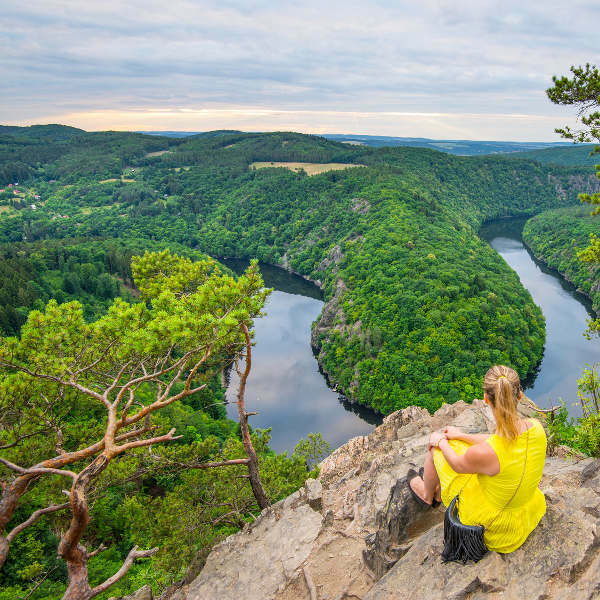 History-filled towns, stunning natural landscapes and tasty cuisine are just some of the reasons to visit the Czech Republic. Just outside the capital, you will find the less-ridden road and fall in love with this beautiful destination. For those looking to unwind completely, make sure to visit the small town of Mariánské Lázně. This is a town not only surrounded by luscious mountains and open expanses, but also has some wonderful thermal spas and quaint cafes. With more than 200 caves in the Czech Republic, you could spend days and weeks exploring the deep mountains and slopes in the summer and spring seasons. The amazing Macocha Abyss draws visitors every year, and with its wonderful views it’s easy to understand why. The Czech Republic also has a wealth of European history that any lover of the subject will indulge in. There are also castles to explore and even stay in, making your stay the more magical. Compare several airlines, and book your cheap flights to the Czech Republic online with Travelstart! South Africans who wish to visit the Czech Republic need to apply for a Schengen visa. You will need to make your applications at the Embassy in of the Czech Republic in South Africa. See this guide on how to apply for your Schengen visa. In many of the larger cities of the Czech Republic, there have been some reports of beggars demanding handouts from tourists, and gypsies trying their luck with your personal possessions. Please keep all purses and wallets out of sight. Also, it would be best to leave your expensive jewellery and other items behind and leave your important documents in the hotel safe. It is always important to go for a general health check-up before a trip overseas. It is best to do this 4-6 weeks before your trip. For your trip to the Czech Republic, it is recommended to get a vaccination against hepatitis A, as well as hepatitis B and rabies.